Twenty seven wooden angels stand in a yard down the street from the Sandy Hook School December 16, 2012 in Newtown, Connecticut. People across the world are in disbelief after the mass shooting at Sandy Hook Elementary School in Newtown, Conn. on Friday and many are wondering what they can do to help. Twenty-six trees were lighted Thursday in a San Diego ceremony for the victims. Twenty miniature Christmas trees and six full-size trees donated by Pinery Christmas Trees will symbolize the 20 children and six adults killing at Sandy Hook Elementary on Dec. 14. The public is invited to decorate the trees or leave notes and letters at the San Diego Association of Realtors on Ronson Court in Kearny Mesa. 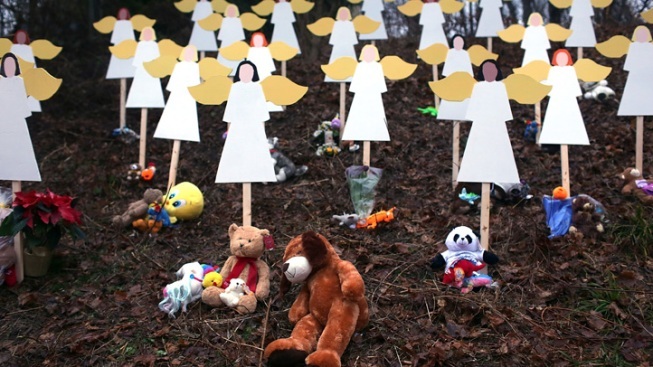 The Sandy Hook tragedy has people wondering what they can do to help. NBC 7's Danya Bacchus shows how some locals are responding to the tragedy. The U.S. Postal service has been taking calls from people around the country wanting to send letters, care packages and drawings from children.The problem is, before Monday, there was nowhere to send the letters and cards. The post office has created a Post Office Box dedicated to the people Newtown. 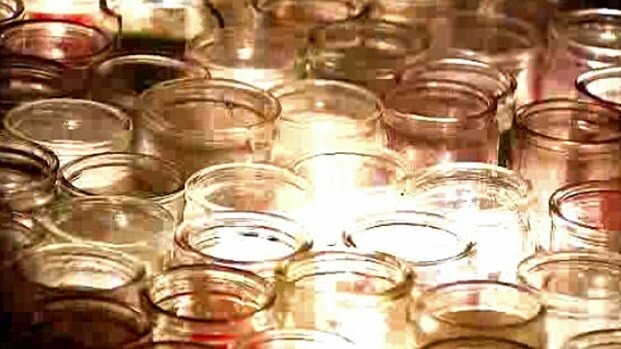 At Saint Joseph's Cathedral in San Diego, parishoners offered condolences to families of the Sandy Hook Elementary School shooting in Connecticut. 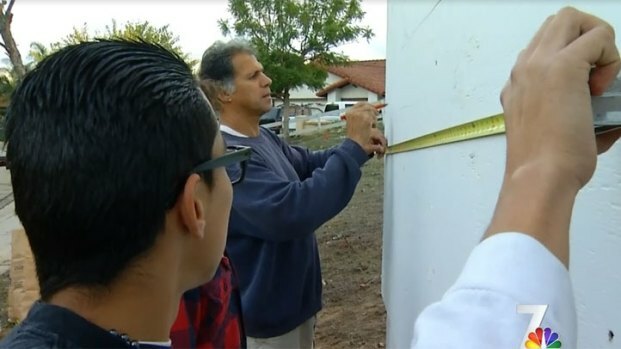 NBC 7's Diana Guevara reports. The United Way has set up the Sandy Hook School Support Fund. “United Way extends our most sincere condolences and prayers to all those families affected by the devastating events in Newtown/Sandy Hook, Connecticut. While the eyes of the world may be on Newtown/Sandy Hook, to several staff, volunteers and contributors, Newtown is home. We will stand with the community and everyone affected directly and indirectly by this tragic event as we face the days and weeks ahead,” the United Way of Western Connecticut’s Web site says. Newtown Youth and Family Services has been providing counseling to any resident in need since the shooting. Any donations made to Newtown Youth and Family will be donated directly to those affected. Donations can be sent directly to Newtown Youth and Family Services via Caroline's Gift at the link here. Donations made for the next month will go to the victims. The agency's Tax ID number is 06-1082115. The Newtown Memorial Fund is raising funds for expenses for police duty overtime and other community financial needs that arise, to assist the town with the design, placement and funding to donate a suitable lasting memorial for the community in tribute to those we lost and to provide an annual scholarship fund to help students of the Newtown Public Schools who will be going on to college. The Friends of the Engel Family Fund has been set up in memory of Olivia Engel. The James R. Mattioli Memorial Fund has been set up, c/o Newtown Savings Bank, 39 Main Street, Newtown CT 06470. You can donate to the Chase Kowalksi Scholarship Fund, c/o Peoples Bank, 470 Monroe Tpke., Monroe, CT 06468. There is a national effort to collect teddy bears to go to grieving students in Newtown and the Hersam Acorn and the Fairfield Sun will be taking donations. If you are connected to a business or organization and want to hold a connection, e-mail John Kovach at jkovach@hersamacorn.com. Bear donations will be taken until Friday, Dec. 28.